It's that time of year. The time that I am already starting to notice that my skin is drying out.My hands,and my legs in particular.After every shower or bath, I always use lotion. Not all lotions are created equally though. We know they can all "talk the talk", but can they "walk the the walk? "Well, Burt's Bees Richly Replenishing Cocoa & Cupuaçu Butters Body Lotion can. I tried this new lotion last night after my bath.I squeezed it out of the tube and loved the fact that it had a nice scent.I love the smell of their products. It was nice and thick- another plus, and went on without any greasy feeling. After a few hours I could feel how my skin felt moisturized, and by morning, it still had that soft feel. It's really a plus for your winter skin care routine.Dermatologist-tested, and would make a great stocking stuffer this year! 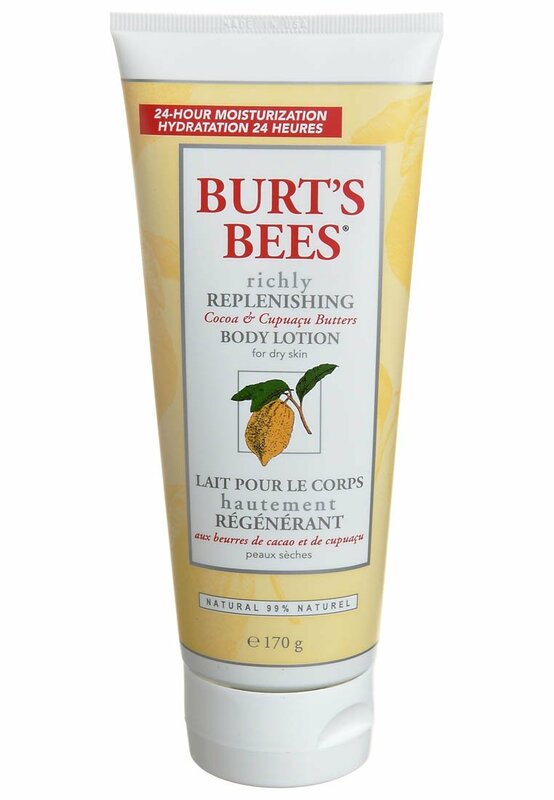 Burts Bees would love to give one Canadian reader a tube of this lotion to pamper themselves or to add it in a loved one's stocking this Christmas. A random draw will be held by Random.org on November 27, 2011 from all entries received. Sounds like a great lotion, especially for this time of the year. This would make a great stocking stuffer, thanks for the giveaway. This would make a great stocking stuffer for sure - Burts makes such wonderful products! I love burt's bee's and would love to win this. 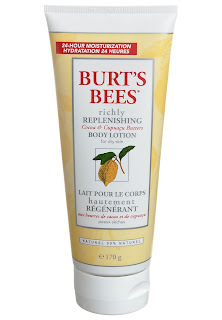 Love Burts Bees products ! got started with their natural products. Great variety of lotions, too. confirmed email sub as above. email. I love Burt's Bees products so much. This looks great.